It has been a rather good week and an even better weekend for Ripple. As the new year kick starts, we see an underdog rise! This gives us hope, that no matter where and how you start off, if your intentions are right, then you shall always win in the end. For Ripple, it is just the beginning. Ripple: Different From The Get Go! A Vancouver based web developer created basic infrastructure technology for interbank transactions – a neutral utility for financial institutions and systems. What this jargon meant was, banks and non-banks could easily apply this protocol of Ripple onto their pre-existing set and let the consumer enjoy its many services. In the current time, what started out as a peer-to-peer money transfering protocol has grown and risen as one of the most easily transactional cryptocurrency of the times. With a fraction of validation time in comparison to Bitcoin, Ripple is sure to have won the hearts of many. Ripple Labs, a division of Ripple, has set its protocol in placed which enables payments to merchants, consumers, and developers. It’s payment protocol transforms said payment to work like communications ie. with utter transparency. A gateway basically just accepts currency deposits from the many users and issues balances onto Ripple’s distributed ledger. Another factor that plays a hand is that gateways can redeem ledger balances against the many deposits the customer holds when currency is being withdrawn. Plain speak, gateways are similar to banks, yet they share one global ledger known as the Ripple protocol. So while functioning on a centralized module, they have a decentralized structure. Ripple is a decentralized structure. Hence, it relies on a distributed database that stores all of the multiple Ripple Accounts. To validate a transaction a Super-Majority of approval from the peers is required. This ensures that, whenever any transaction has taken place, one can easily access the ‘Last ledger’ generated to know all the details. This helps determine if the action is valid enough before the next set of nodes are to be created. One of the most amazing things about Ripple is that it allows for peer – to – peer cross currency exchange. This means that one can pay back another irrespective of the cryptocurrency or fiat currency one possesses. For that matter, even Gold or Diamonds or Platinum can be evaluated and then used as a means of currency. The cherry on the cake is that this process time is mere 3 to 5 seconds. Much, much lower than that of Bitcoin. There are several other uses that we can avail in a Ripple protocol. To curb it, limit it as just another cryptocurrency shall be a gross negligence on our behalf on regards to it multiple uses. It offers its customers an open API ( Application Programming Interface) and even provides them protection from spam. 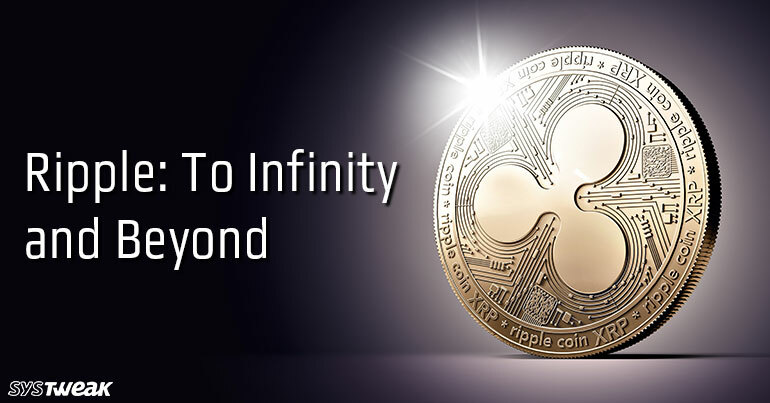 To achieve this, they expect all users to keep in their accounts a minimum of 20 Ripple as cryptocurrency tokens. Then, when the security team detects any cyber hacking, they flood the market with 20 Ripples from all the accounts. This causes the protocol to slow down and inadvertently slow down the hackers. The process of flooding is one of the key factors for which banks and non-banking institutions alike want to implement it.